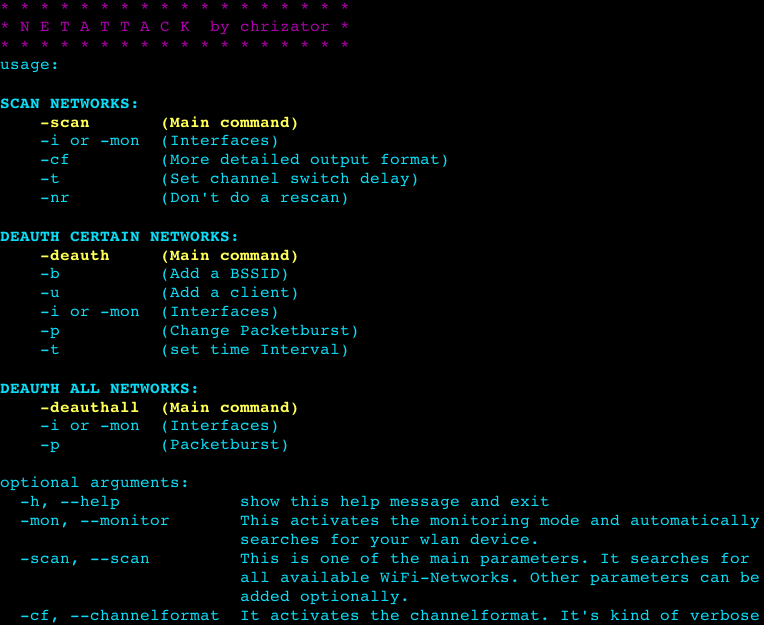 Browse: Home / netattack – Python script to scan and attack wireless networks. THE OWNER AND PRODUCER OF THIS SOFTWARE IS NOT LIABLE FOR ANY DAMAGE OR ANY LAW VIOLATIONS CAUSED BY THE SOFTWARE. 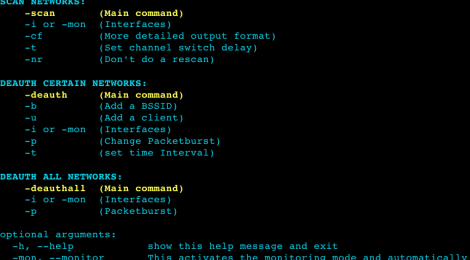 ← logdissect is a tool for gaining insight into syslog files.